The first 15 hours of Story of Seasons: Trio of Towns may be the slowest first 15 hours of any game I’ve ever played. Some games I’ve played are over in half that time, but here it’s just the point where new elements finally stopped being explained. In the past, like I did with the first Story of Seasons and its glacial beginning, I would have said screw it and moved on to something more interesting. But not this time. This time I kept at it and not just because I am reviewing the game. I kept at it because, in that deliberate first dozen hours, I was introduced to three of the most charming and affable communities I have ever had the pleasure of meeting in a video game. 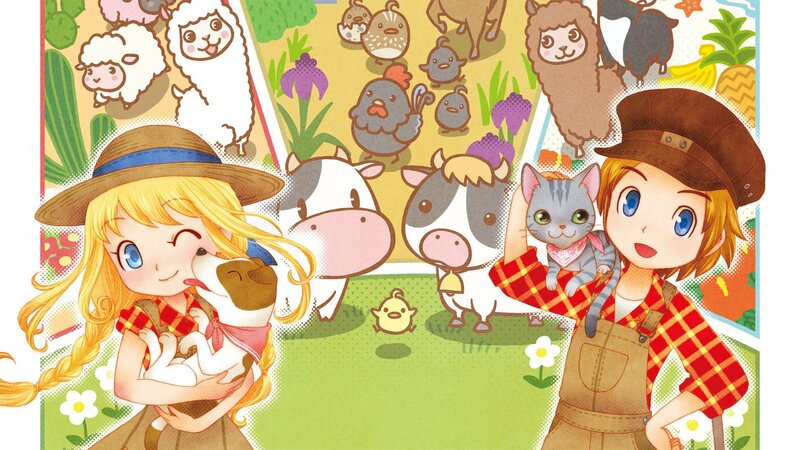 You start out Story of Seasons: Trio of Towns with a bit of a chip on your shoulder. Your dad doesn’t believe you have what it takes to be a farmer, so you set out to prove him wrong. After arriving in Westown and meeting its inhabitants, you’re given the keys to your farm. It’s small, with just a few plots, a barn big enough to hold one cow, and a coop for just one chicken. Your beginnings in this land are humble and a bit humbling. My character ran out of energy quite quickly, only allowing me to plant a few seeds before running off to the restaurant to refuel. Before I gained the ability to cook that was how I spent most of my early hours: doing a little farm work, running to get some food, and then doing a little more. 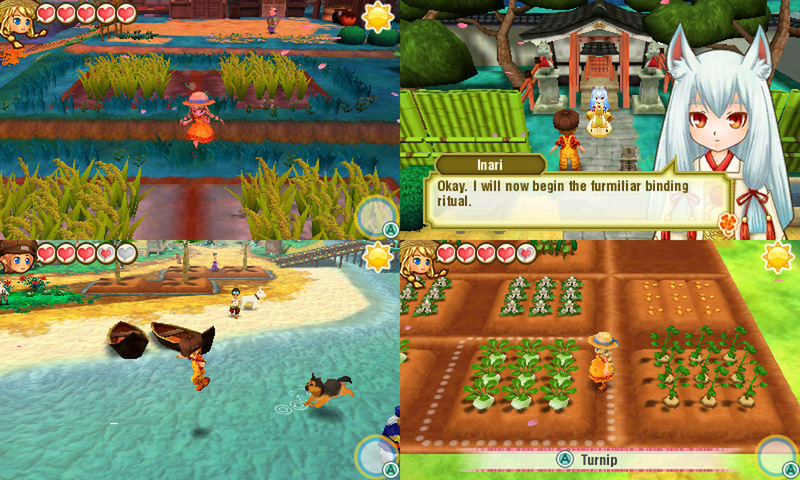 Plowing your fields, planting your seeds, and watering your crops are easy enough with the tool menu accessed via the R button, but I would be lying if I said I didn’t miss the contextual controls of Harvest Moon: Skytree Village. Getting my farm up and running was a slow process, but the returning 3x3 plots from Story of Seasons really did speed things up a bit. I dilly-dallied for many of Trio of Town’s opening hours, something you’re allowed to do with its quasi-open-ended nature. I farmed, I fished, I mined, I gave gifts to my beau, nothing out of the ordinary for this series. But doing just that kept my overall progress to a minimum. You’re given a lot of freedom, but if you want to go anywhere you have to bunker down and get to work. With so much to do, so many people to meet, so many schedules to keep, it can all feel somewhat daunting. I’ve played several of the previous games in the series and even I was overwhelmed at points. The first thing I committed to doing was upgrading my tools. Only one person is available for the task and you have to know what items you need before you can proceed. Having easy access to a list of required ingredients outside of my handwritten notes would have saved me a lot of effort and frustration. But with my notes and my sense of determination, I was not only able to upgrade my tools and my farm but also find new ways to appreciate this wonderful world the people at Marvelous have crafted for us. This may be the biggest Bokujo Monogatari game I’ve ever played. I had a one-month head-start on this review and still don’t think that was enough time to see everything it has to offer. Beyond the main objective of running a farm, getting married, and proving to your daddy that you know your way around a hoe, you also have three towns you need to build a rapport with. You do this partly by completing part-time jobs that you can pick up each day. The jobs are simple, not too interesting, but they usually don’t overstay their welcome lest you agree to chop wood for more than three people in a row. You can also choose which town to ship your supplies to at the end of the day, greatly increasing your rank with that village. Unlocking new ranks rewards you with cut scenes, new items, and new tasks to complete. As I built my ranks up for the three towns, I became infatuated with these villages and the people who call them home. Trio of Towns does a fantastic job of making three, distinct towns with their own personalities, styles, and cultures. What helped me become integrated into these communities was the writing. Every character, even those who don’t get their own little portrait, is well-defined with their own nature and goals. 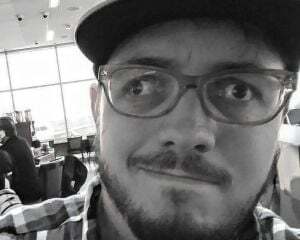 I had one guy I loved talking to every day because he told me about all the wonderful story ideas he had. 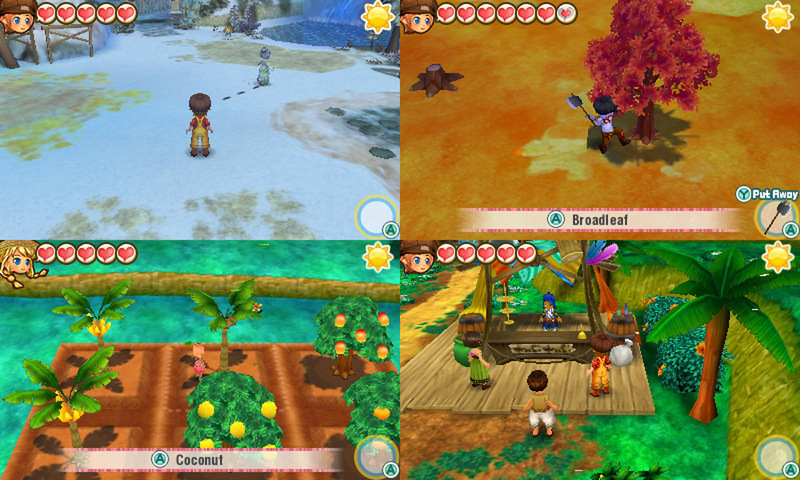 Westown, Lulukoko Village, and Tsuyukusa Town helped elevate this game over past entries in the series. They are just so magnetic, so full of life and color, that I would often skip watering my crops to just get a little more time in these towns. Sure, my farm suffered and my progression slowed, but it was worth it to be swept off my feet by the charisma of these villages. Story of Seasons: Trio of Towns doesn’t reinvent the tractor wheel, but it does change it out for a more durable model. This game is built to last many, many seasons, and if you can get behind its quiet pace and an overabundance of content, you’ll find one of the most complete farm sims to ever hit a handheld device.